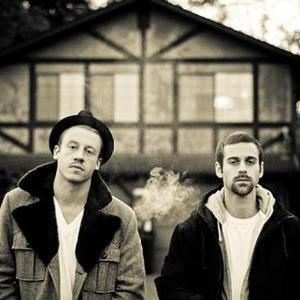 Beginning in the winter of 2008, MC Macklemore and producer Ryan Lewis linked up to create their debut EP entitled ?VS.? Based off an idea to sample relevant, contemporary bands, the EP exposes Hip-Hop fans to genres they may be less familiar with. ?VS.? re-imagines the sounds of Beirut, The Killers, Red Hot Chili Peppers, The Arcade Fire and many more. The EP will be a completely donation-based release dropping at the end of November. ?Otherside? (the first leak from the project) mashes big drums and orchestral pieces over Anthony Kiedis' classic song about battling with heroin addiction. Macklemore now tells the story of Hip-Hop's experience with drugs and a first person narrative about his own struggles with drug addiction and rehabilitation.